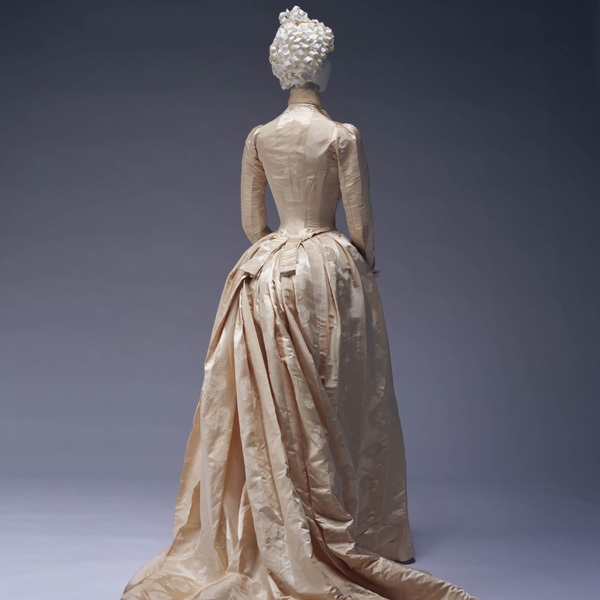 Brown cotton satin with fifteen metal wires placed at back; black silk taffeta pleats at lower back. 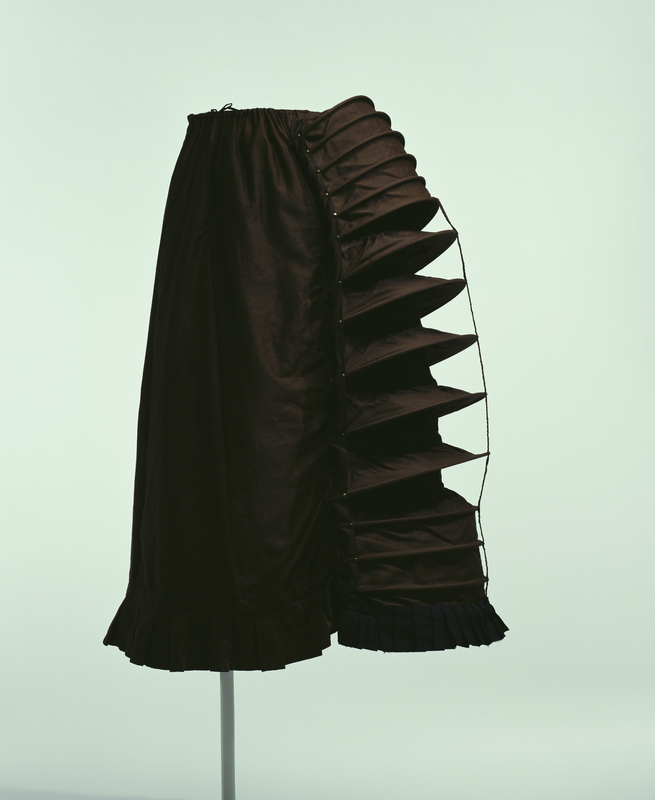 This is underwear used to support a skirt from inside. 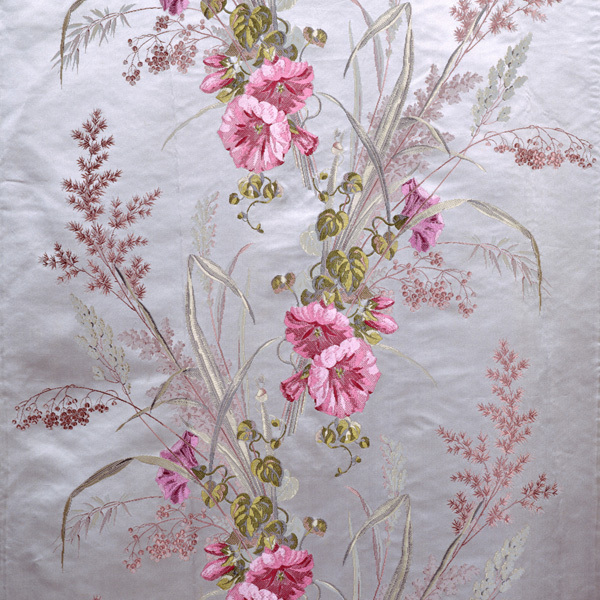 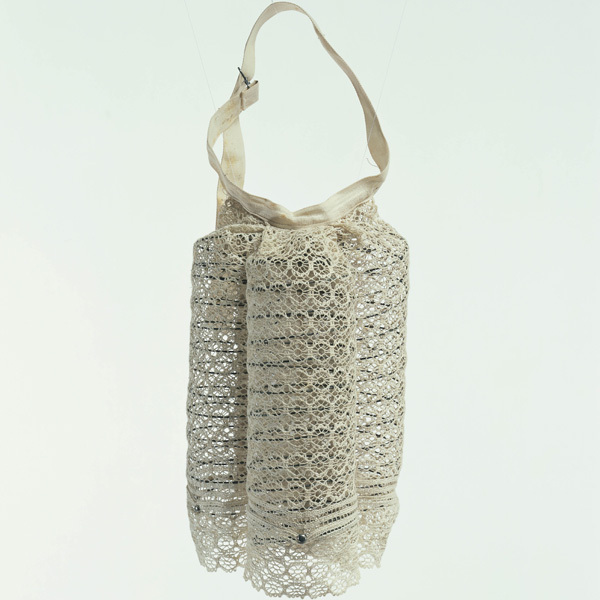 The rear half of the petticoat incorporates 15 steel wire bones, curved and arranged so that they fall horizontally. 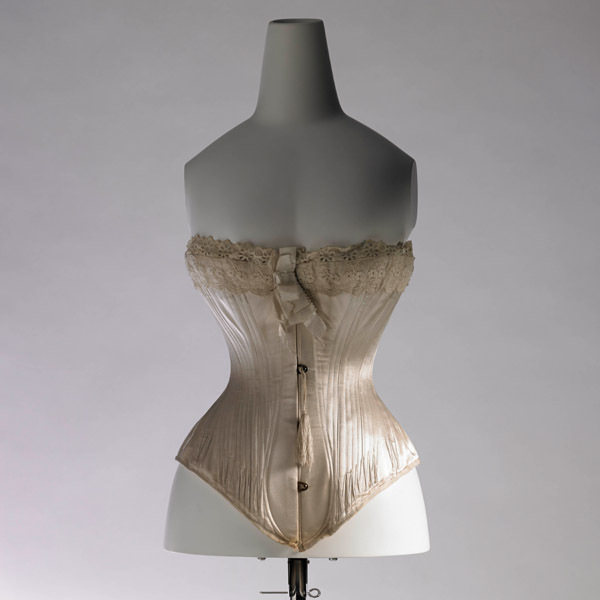 Internal lacing can be tightened to lift the wires and adjust the curve of the bustle, allowing it to provide an appropriate volume for the silhouette of the dress worn on top. 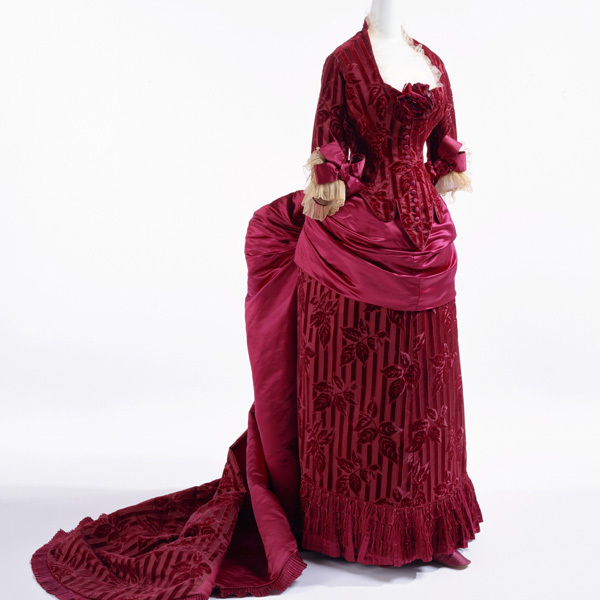 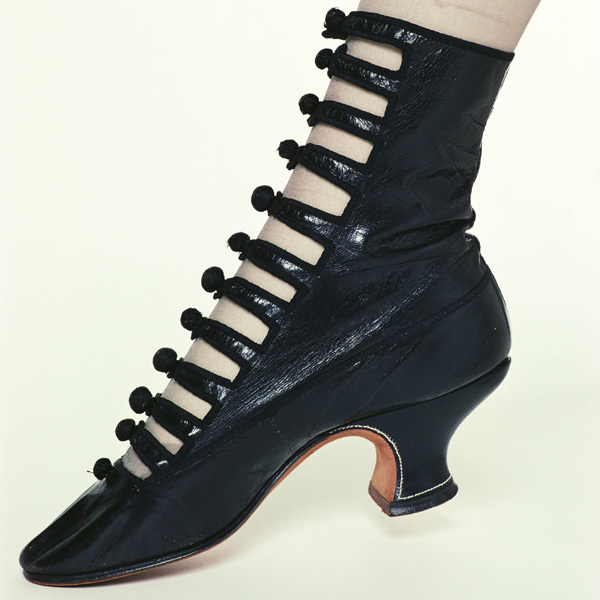 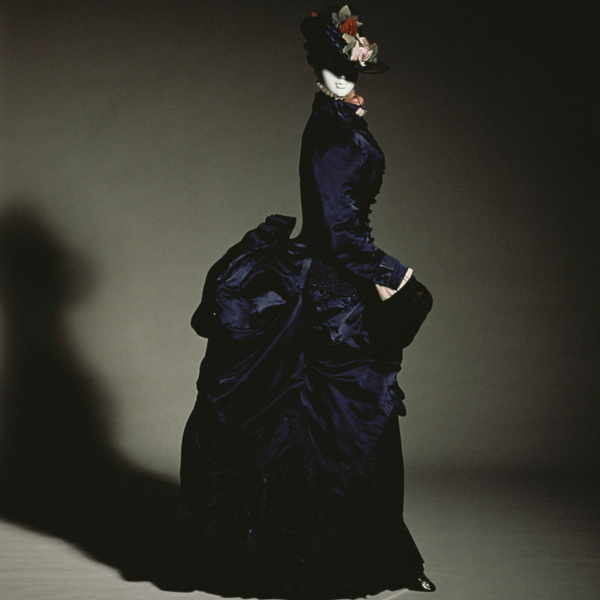 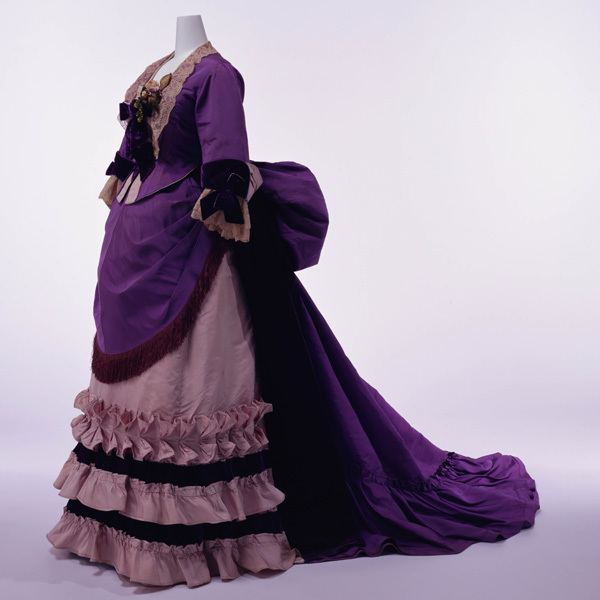 The bustle style was in fashion from 1870 to the 1880s. 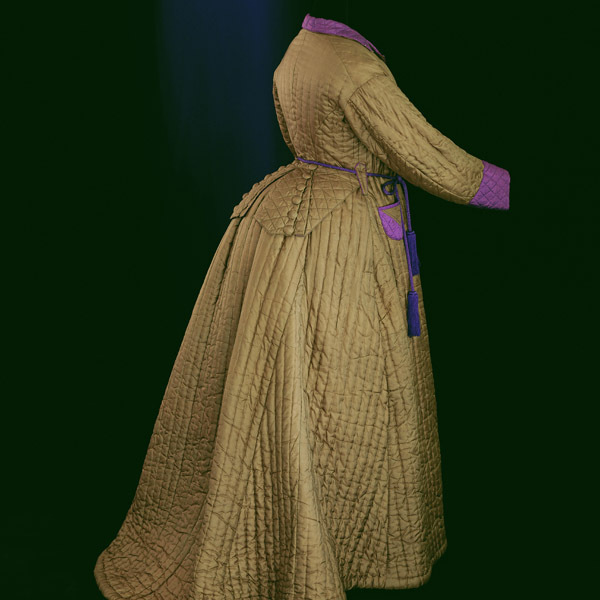 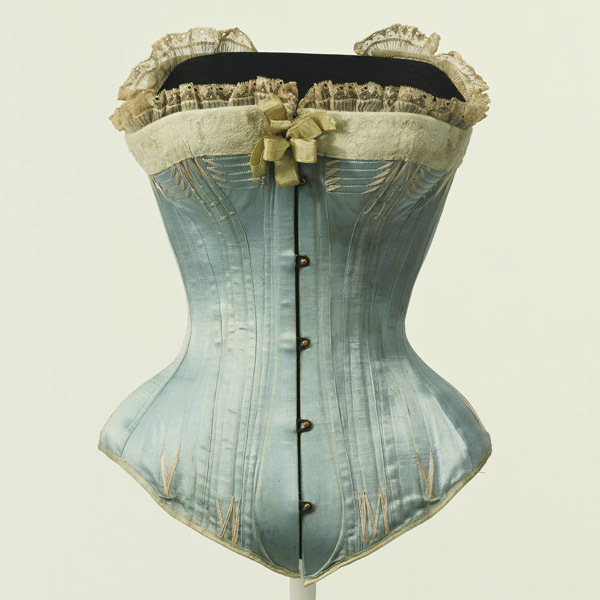 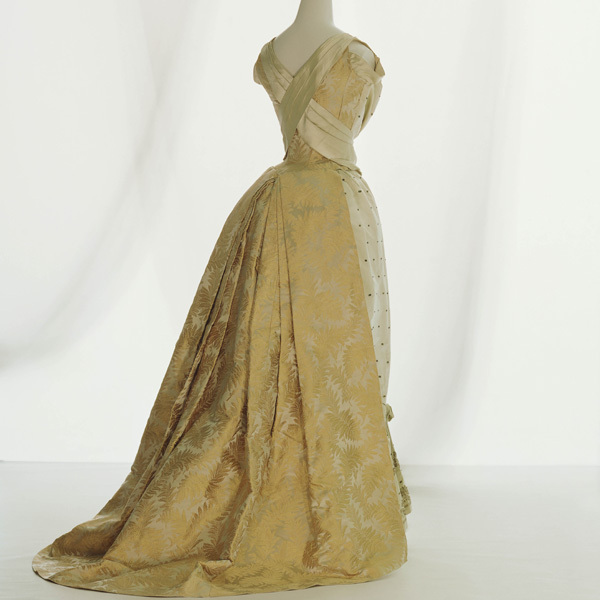 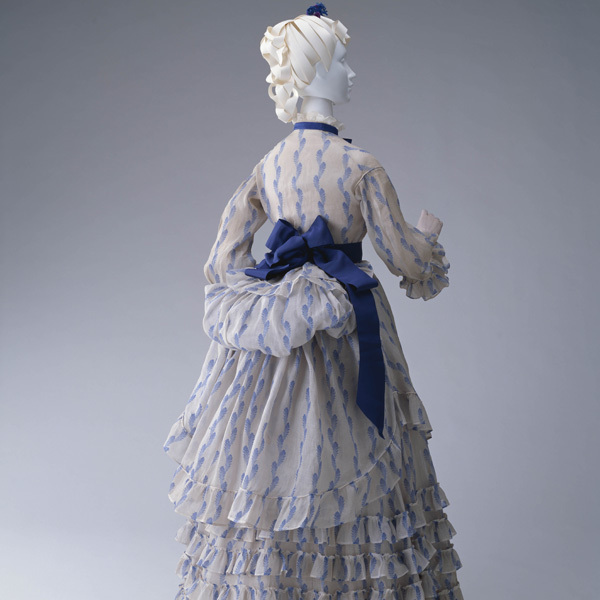 The bustle (French: tournure) was designed to add volume to the rear of the dress below the waist, and many different shapes of bustles emerged. 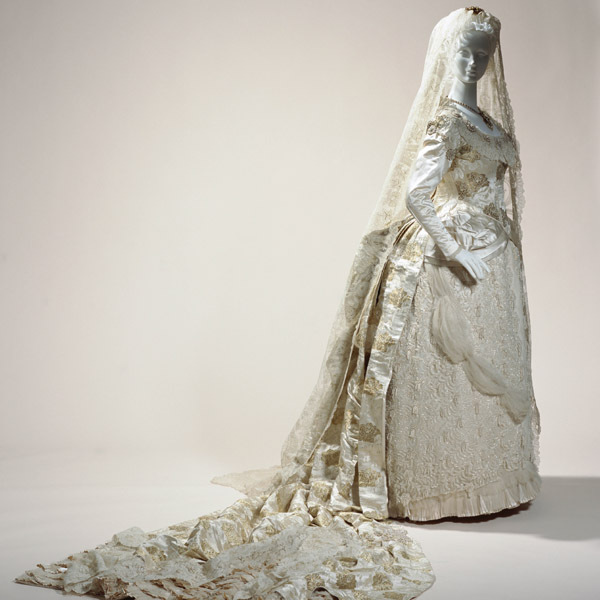 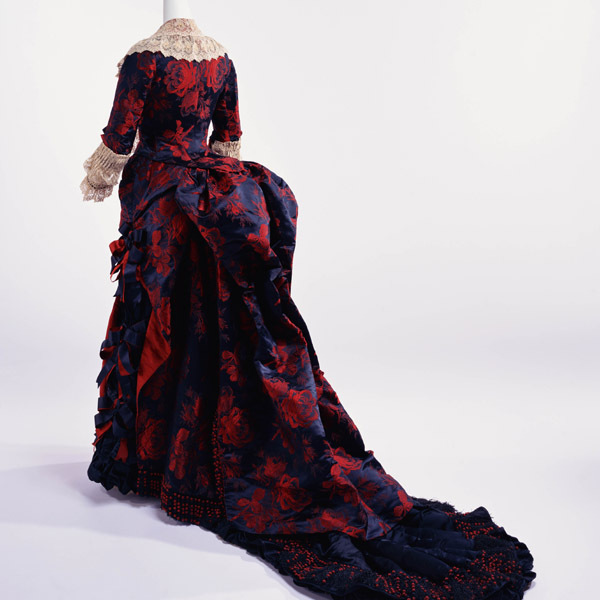 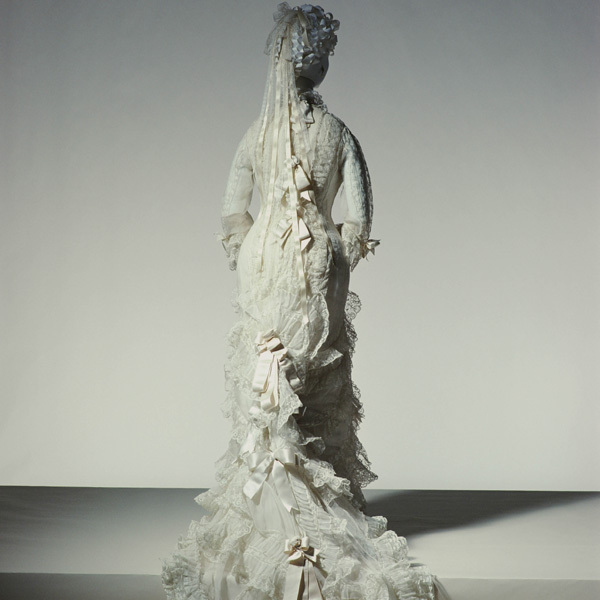 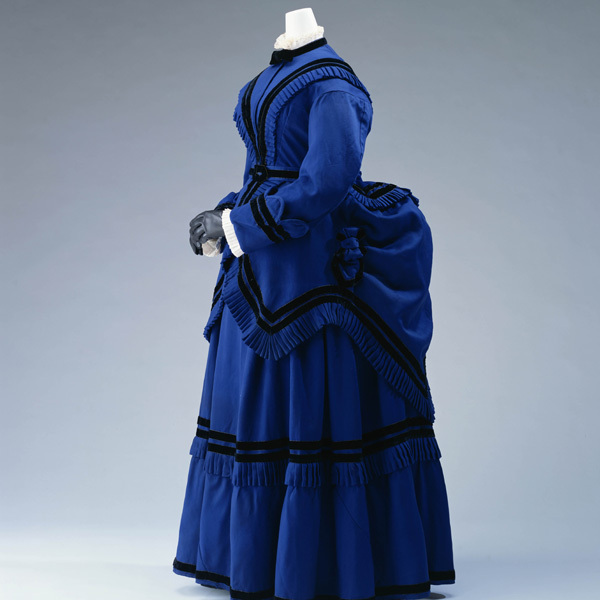 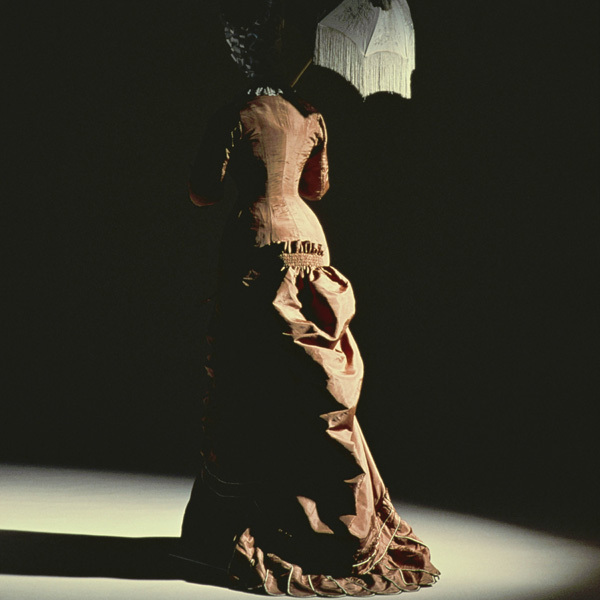 In the 1870s, skirt-style bustles like this example were particularly popular. 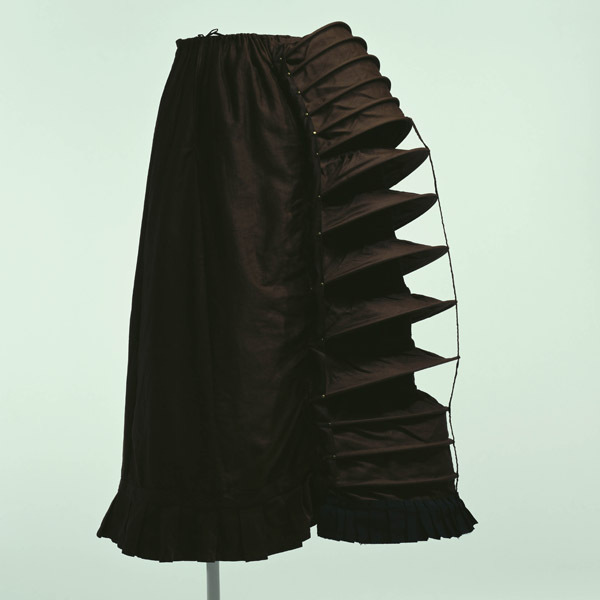 Earlier, crinoline had used steel wire bones as a framework to give fullness to a skirt. 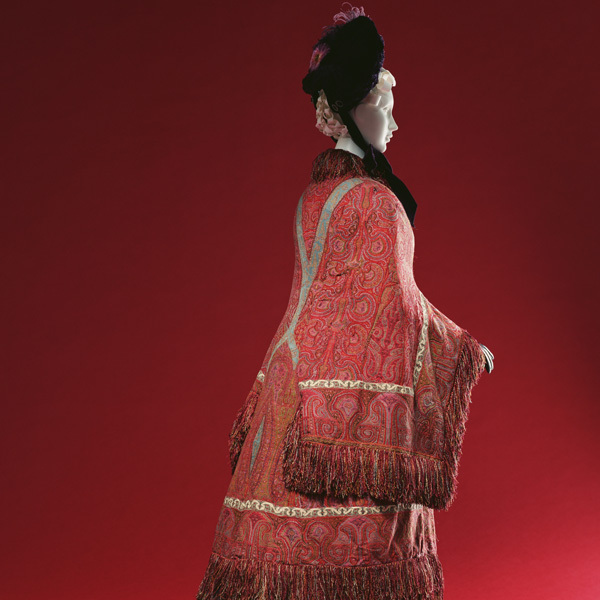 Bustles like this one, that adopted the same principle but retained the framework only at the rear, were also known as crinolettes. 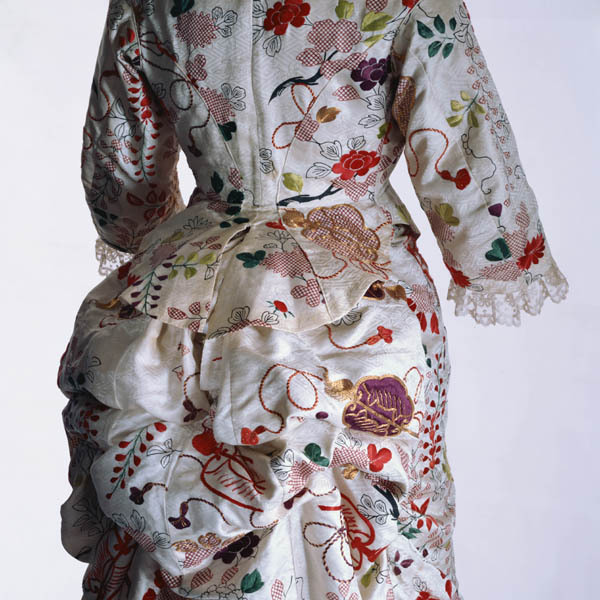 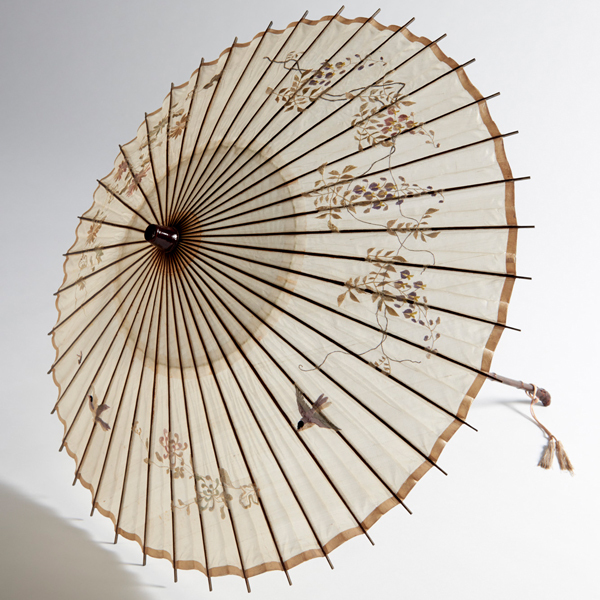 In addition to skirt-style bustles, there were also bustles secured to the waist by a belt, like Inventory No. 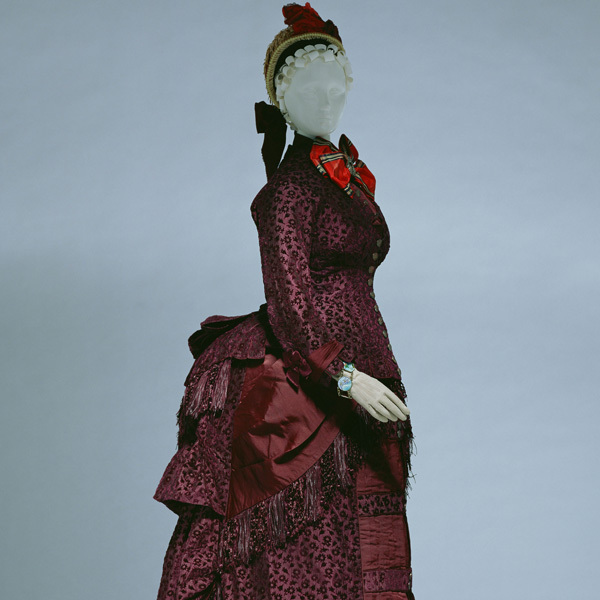 AC3157 80-8-47 in the KCI Digital Archive.